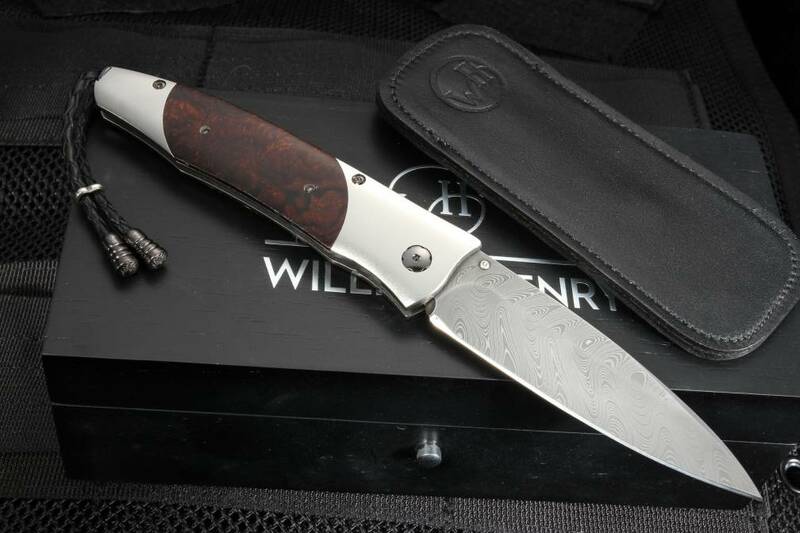 The B30 Outback is a hand forged stainless Boomerang pattern damascus steel by Chad Nichols and ironwood upscale folding knife from William Henry Studio. 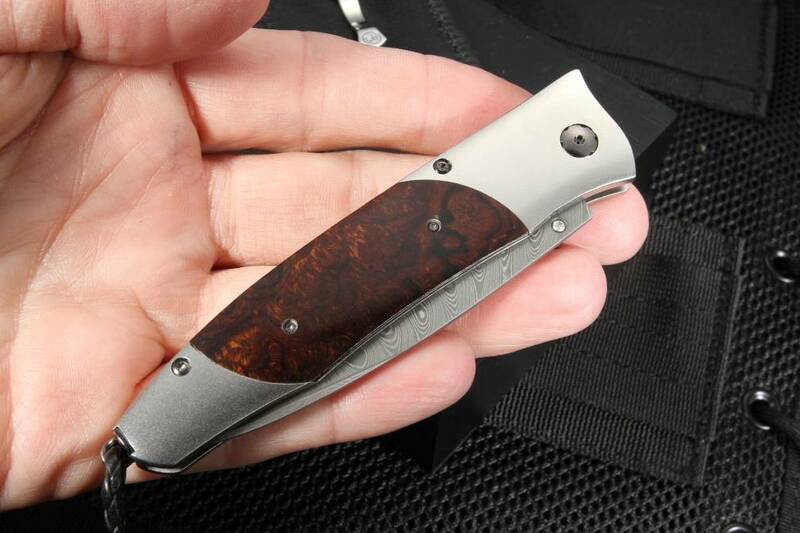 The Outback is a sleek pocket knife with a blade length of 3", a great size for everyday carry. The blade on the B30 is a spear point shape and is hand forged of stainless Boomerang Pattern damascus steel by Chad Nichols. 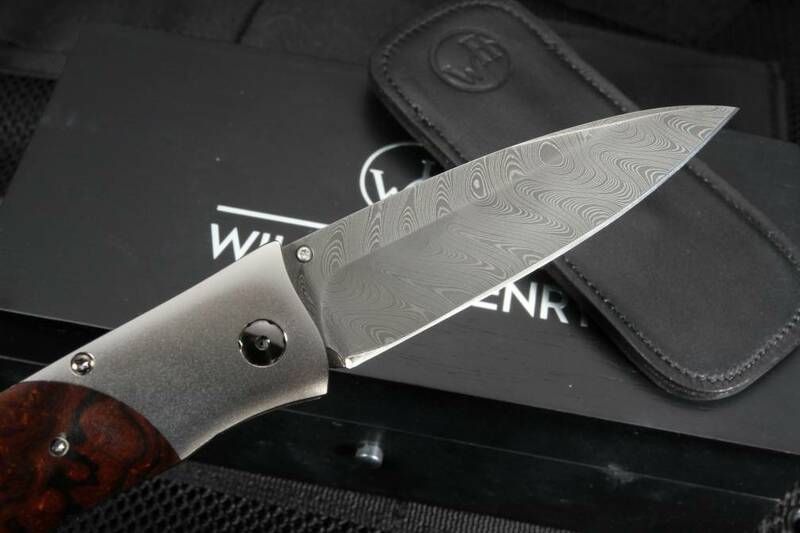 The damascus steel blade is hollow ground with a razor sharp edge. The blade opens smoothly with a one-handed thumb stud. The American-made knife has a handle frame of aerospace grade titanium alloy; allowing the user an extremely strong but lightweight carry. 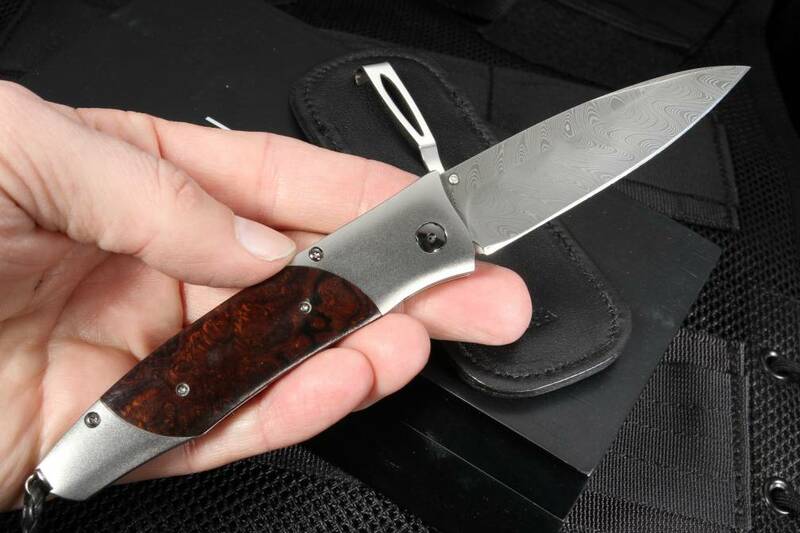 The highlight of the knife is the exotic ironwood. The knife carries spinel inlays on the thumb stud and button release for an added touch of class. The knife has a solid button lock design and integral titanium frame. 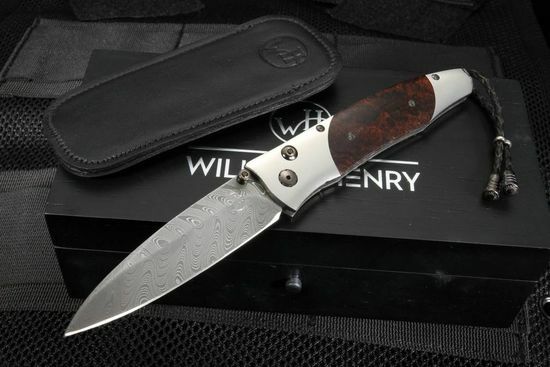 This individually numbered knife comes with a certificate of authenticity and wood presentation box. Limited edition of 250 numbered knives. As an authorized dealer, this is a new knife and comes with a full satisfaction guarantee.